This is a business card WITH owners PG. To establish Corp credit get this card or similar for two years THEN with 2 yr tax records and good pmt history - APPLY for any of the AMEX CORPORATE cards. Those are WITHOUT owner PG. I have 4 Amex cards, best customer Svcs, the benies are average as any other but get the card that compliments your spending and take advantage of its strengths. This is by far one of the best business cards with great cash back rewards and no annual fee. They automatically apply the rewards as a statement credit every month. I get just under a $1000 a year from all of my purchases. The 5% and the selectable 3% and the 3% always cash back is where I maximize. tHIS IS A GOOD CARD. Love Amex. Love this card..
Amazing card. Amazing terms. 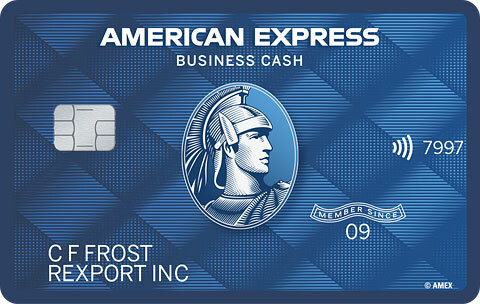 Amazing Amex.. they’ve been good to me over the years across different card products. Will continue to do business with them because of the love they’ve continued to show me. Card looks pretty in person too. If you own a small to medium sized business, this is the card you want..